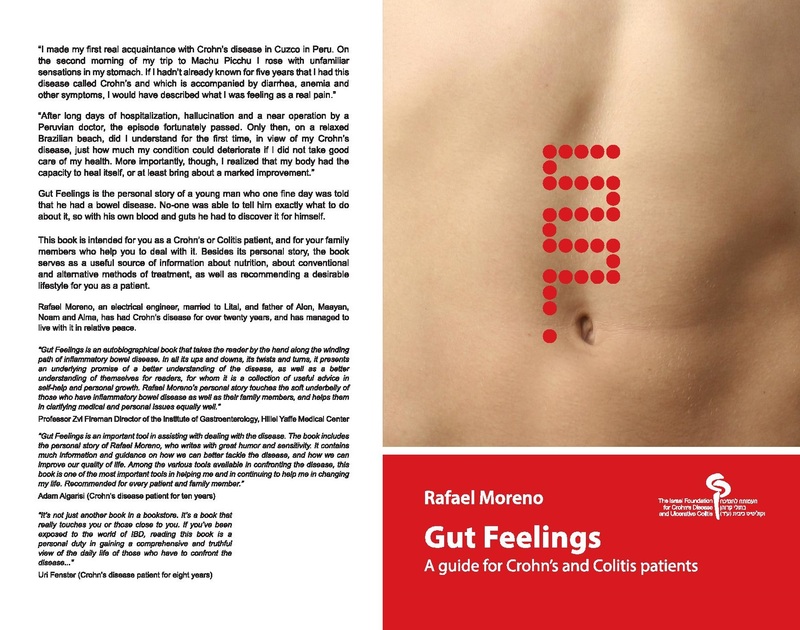 Gut Feelings is the personal story of a young man who one fine day was told that he had a bowel disease. No-one was able to tell him exactly what to do about it, so with his own blood and guts he had to discover it for himself. This book is intended for you as a Crohn’s or Colitis patient, and for your family members who help you to deal with it. Besides its personal story, the book serves as a useful source of information about nutrition, about conventional and alternative methods of treatment, as well as recommending a desirable lifestyle for you as a patient. 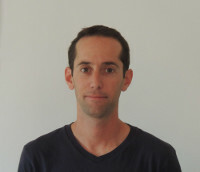 Rafael Moreno, an electrical engineer, married to Lital, and father of Alon, Maayan, Noam and Alma, has had Crohn’s disease for over twenty years, and has managed to live with it in relative peace. The information that appears in this site is of a general nature only. It makes no claim to present professional opinions or certified professional or medical advice. You may not use this information for the purpose of self-diagnosis or treatment. It is incumbent upon the reader to seek an opinion or medical advice before making any use of this information. 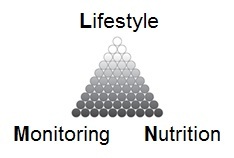 This information is not a substitute for the professional advice of a doctor. Acting upon the advice in this book is the responsibility of the reader alone. The author of this blog bears no responsibility of any kind, for any damage (direct or indirect) that might be caused, or deemed to be caused arising as a result of the use of the information presented in this blog. The author is not responsible for any errors, inaccuracies or omissions in the book. Any errors that might occur are inadvertent.